Providing you the best range of aluminum distilleries caps and spirit closures with effective & timely delivery. Banking on our skilled professionals, we are engaged in manufacturing, exporting, trading and supplying excellent quality Aluminum Distilleries Caps. The given aluminum caps are manufactured from top quality material & leading techniques in accordance with the set norms of industry. 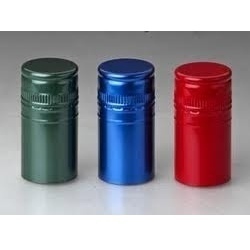 Our offered aluminum caps are accessible in number of customized options in accordance with the set norms of market. 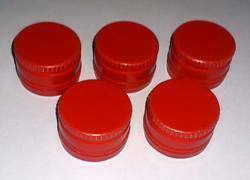 Our aluminum caps are demanded for perfumes & oil bottles sealing. With enriched industrial experience, we have been able to offer a wide spectrum of Spirit Closures. Our offered spirit closure is ideally used for closing spirits in distilleries, all these products comply with the norms and standards already set by the industry. This spirit closure is demanded amongst our customers for its durability and safe use. Customers can avail this spirit closure from us at affordable price within a given time frame.